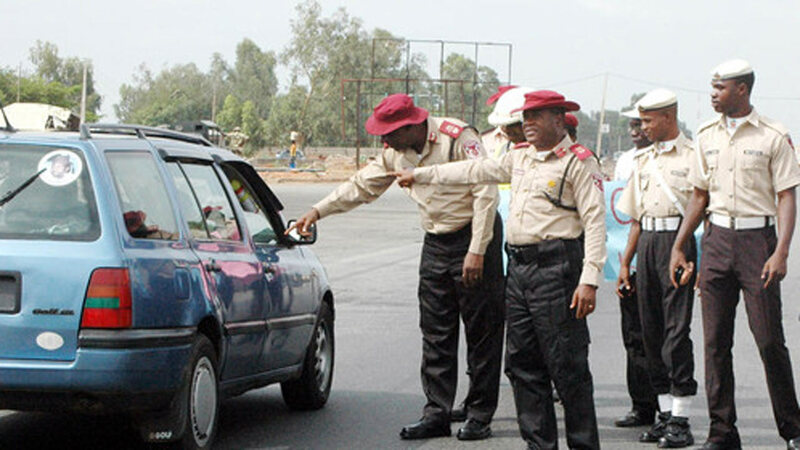 Officials of the Federal Road Safety Corps, FRSC, are beginning to cause more harm than good these days. Several people have reported, that the officials meant to keep the people safe are allegedly the ones causing some of the road accidents. 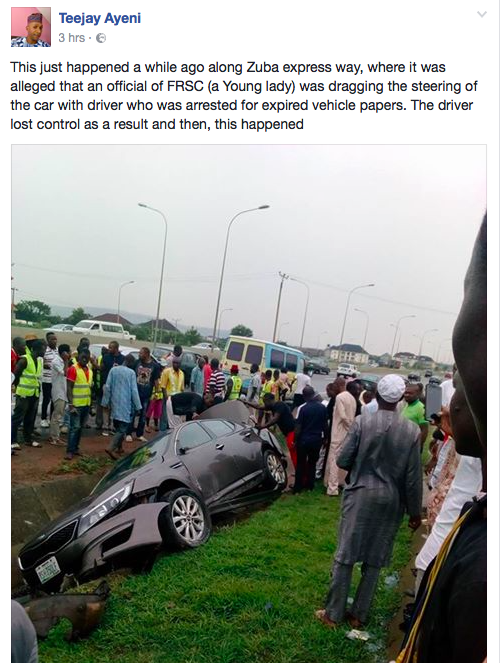 A Facebook user today shared a photo of an accident allegedly caused by one of their female officers this afternoon at Zuba expressway in Abuja. He said the unnamed officer, dragged the steering of a moving car, causing the driver to lose control of the vehicle. This just happened a while ago along Zuba express way, where it was alleged that an official of FRSC (a Young lady) was dragging the steering of the car with driver who was arrested for expired vehicle papers. The driver lost control as a result and then, this happened.